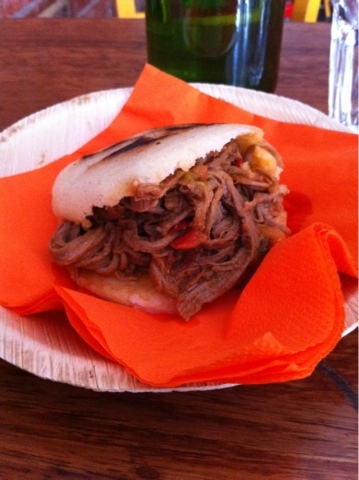 A quick and easy Argentinian lunch on Brunswick St, Fitzroy. The restaurant is Cruzao, a small concrete-floored, red-brick walled restaurant and live music venue. At lunch time on a Saturday the music was from a CD, but there was a small stage laden with music gear - will have to come back with friends for some music and more arepas.